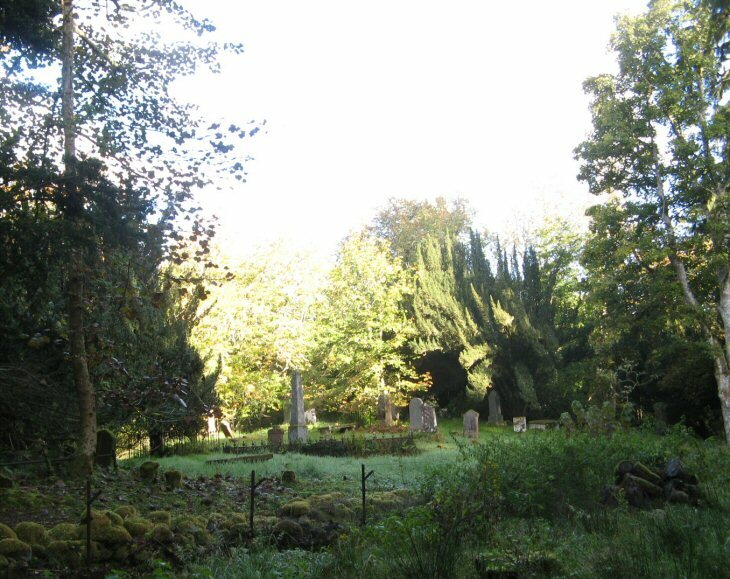 This small burial ground is usually in shade as it is surrounded by tall trees, within the policies of Conan House (Gairloch & Conan Estates). It sits close to the south bank of the River Conon, opposite Dunglass Island. Access is on foot only, either from the village of Conon Bridge (about 1.5 miles), or from a single parking place on the A862 at grid ref. NH 530540. Picture Added on 08 October 2010.